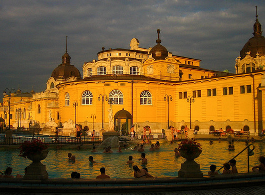 Home / Szechenyi Spa Baths / Szechenyi Baths – Can I Wear a Speedo at the Bath? 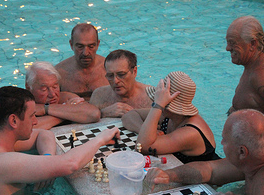 Many first time visitors are uncertain about the dress code of Szechenyi Baths. 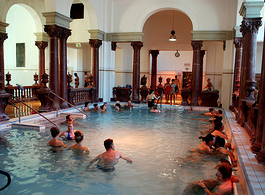 Well, it is simple: firstly, as the bath is coed each day, from Monday to Sunday, everyone needs to wear some kind of swimwear. Secondly, you can wear anything that qualifies as a decent swim wear, which covers the usual feminine and masculine tender parts (loins, bottoms and breasts for ladies, and loins and bottoms for gents). If you want to cover more for health reasons (e.g. you have a sunburnt or are allergic to the sunshine) or for religious reasons, or for any other reasons (e.g. you are shy in general), you can. 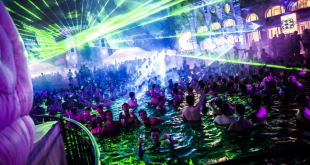 Needless to say, you are not allowed to wear everyday garments in the pools, which are not designed to be worn in water (casual street dresses, jeans etc. are prohibited). 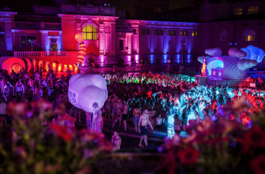 Is speedo acceptable at Szechenyi Baths in Budapest? It is not only acceptable, but many of the male visitors prefer to wear the shorter speedo style swim wear, which are less heavy and dragging with water, rather than the surfing style longer trunks, which take up more water, and become less convenient for a longer soak in the water. It is completely up to you and your preferences. 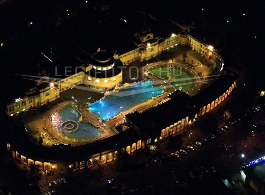 You can see some videos of Szechenyi Baths here to observe the swim wears visitors at the famous thermal bath don. I’ve booked the tickets online and receive onlt the receipt .How am i to claim the tickets?? You can print the email or show it on your phone upon arrival. I made a booking via PayPal for a visit for 7 persons at Friday 23th March 2018 (7 Bath Ticket +SzB Private Cabin Weekday for €20 each so in total €140,00) and received confirmation of payment by PayPal but did not receive an e-mail or tickets from your side. How can I claim these tickets? Thanks in advance! Hi, I made a booking via PayPal for 2 persons for 2 Apr 2018 and received confirmation of payment from PayPal. How do i claim the tickets? Thanks! Is it allowed to wear a burkini which covers all the body wxcept the face, hands, and feet. If not,is thwre a private place only for two? 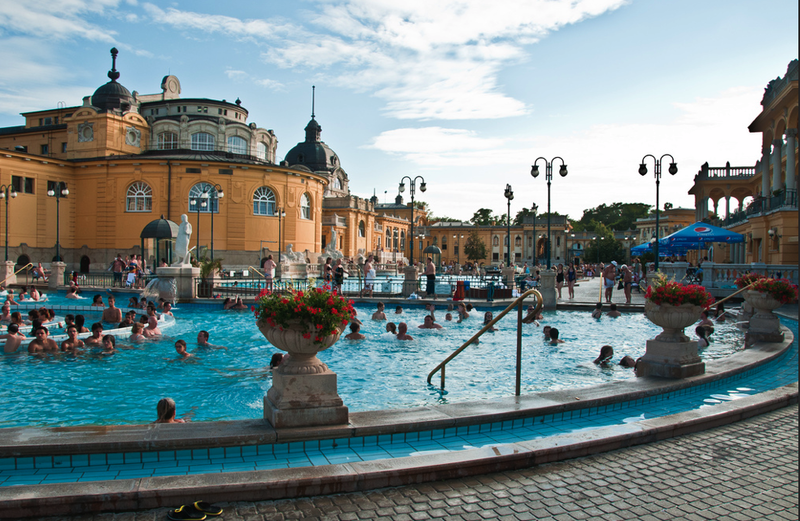 I’m afraid burkinis are not allowed in Szechenyi Baths. Thank you for your understanding.